Summary: Elephants Maggie and Anabelle lived at the Alaska Zoo, good friends for many years until Anabelle died. Maggie seemed lonely, befriending an old tire that she carried with her everywhere. Finally, the zookeepers decided it would be best for her to move to a warmer climate where she could be with other elephants. Maggie was transported to the Performing Arts Welfare Society (PAWS) in California, where she quickly was accepted by the other elephants living there. She now spends her days with her closest elephant companion Lulu, and has happily abandoned her tire. Includes additional information about elephants and zoos, as well as Q&A with Maggie’s keeper Michelle Harvey. 32 pages; grades K-3. 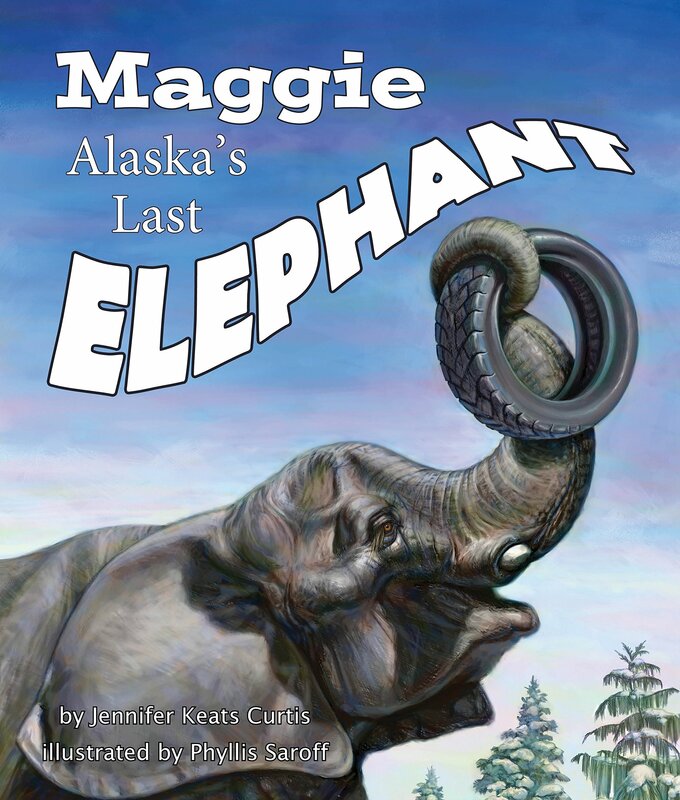 Pros: Kids will enjoy learning the details of Maggie’s life, both in Alaska and California, as well as the logistics for transporting a four-ton elephant from one place to the other. Cons: The illustrations were merely serviceable, and more photos (there is one) would have made the back matter more interesting. If you would like to buy this book through Amazon, click here.